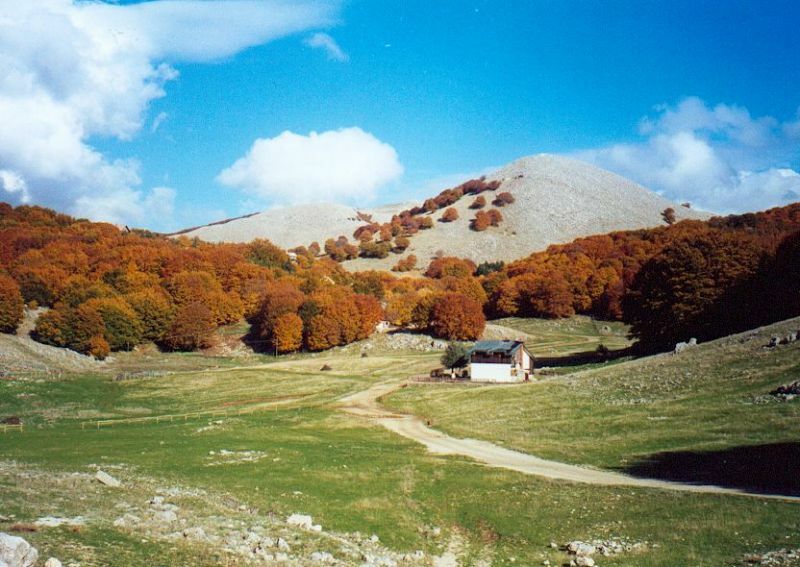 Piano Battaglia lies near Pizzo Carbonara, the highest peak in the Parco Regionale delle Madonie. This little resort resembles a Swiss style resort instead of a Sicilian village. Piano Battaglia is full of chalets that year after year draw more and more Sicilian inhabitants eager to enjoy its slopes. The Mufara, skiing complex sitting on the northern slopes, reaches a height of 1856 m and its runs are 3.5 km, whereas the Mufaretta skiing complex, situated on the southwest slopes, climbs up to 1657m and its runs are 500 m long. Two ski lifts service the runs. Skiers can go cross country and downhill skiing. During spring and summer Piano Battaglia acquires another kind of beauty. The walking paths reveal their beautiful natural sites to visit when snow melts. A magnificent stroll begins in Piano Battaglia, more exactly at the Rifugio Ostella della Gioventú Piero Merlino, goes northwest including Pizzo Scalonazzo and Pizzo Carbonara and finishes off in an oak forest at Piano Sempria. 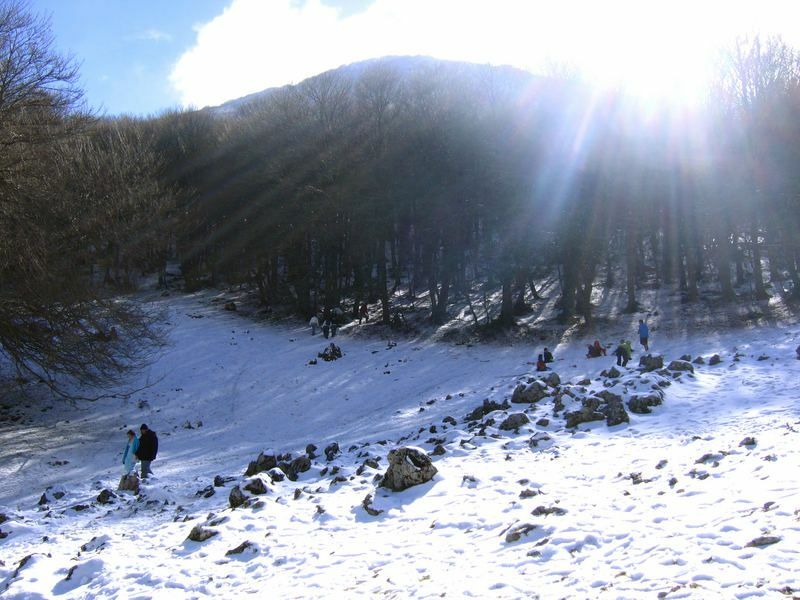 Going around the Parco Regionale delle Madonie is an experience that cannot be missed. 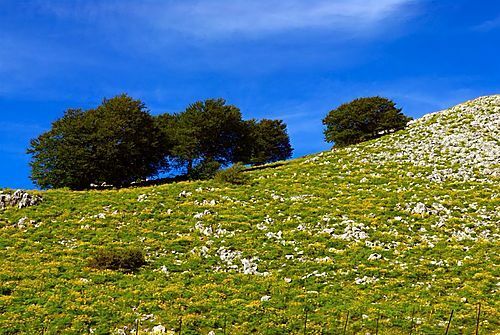 Besides displaying a beautiful mountainous landscape, the park shelters about 2,600 Sicilian botanic species, more than half of the nesting birds and all the typical Sicilian mammals. BY CAR: Piano Battaglia is in Parco Regionale delle Madonie. When you arrive in the park, take the SP54 and then the SP 113.